The first inhabitants of Nevis were almost certainly pre-ceramic Indians called Sibonay. They are believed to have arrived on the island of Nevis around 2,100 years ago from Central America. This said however, their place of origin is uncertain and all that remains of this race on Nevis are some primitive tools made of stone and shell. These Indians were followed by the Arawak Indians who originated from the Orinoco River area in Venezuela. Next on the list of visitors to Nevis were the Carib Indians. They arrived several centuries after the Arawak but came from the same general vicinity of South America. The Arawak and Carib left far more remains than did the Sibonay and at the present time there are two dozen known archaeological sites scattered around the island. These sites are marked with piles of shells, pieces of pottery, and old flint tools. Sometimes after a good downpour even human remains will become unearthed! Most scientists believe that at the height of the Indian population, about 600 AD that there were between 2,500 to 6,000 Indians on Nevis. Christopher Columbus, while on his second voyage, was the first western person to lay eyes on Nevis. While anchoring off Nevis on November 11, 1493, Columbus mistakenly thought that the cloud cover that often shrouds Nevis' peak, was snow. The Spanish word for snow is "Nieves", hence today's corrupt form of the word, Nevis. Not long after this, the name appeared on many of the days sailing maps, as a result of this, the name remains with us today. Strangely enough Columbus never ventured ashore. What a pity, he didn't know what he was missing! The earliest record of a western visitor to Nevis, was Captain Bartholomew Gilbert, of Plymouth, England in 1603. The good Captain's log does not mention the presence of any Indians, merely that they were in search of a special wood called lignum vitae. This wood, no longer found on Nevis was apparently so strong it could be used in place of iron for the making of gears. He also mentions the abundance of sea turtles, and what fine meals they make! A notable early visitor to Nevis was Captain John Smith in 1607. He and his men stopped off in Nevis for five days on their way to founding the Virginia colony, in what was to become the United States. Smith mentions that his men encountered a Indian hunting party, but that both sides ran from each other without incident. So much for international diplomacy. Smith also mentions a hot spring, probably Bath Spring, that had remarkable curative powers for gunpowder burns and skin rashes. Nevis was officially settled by the British in 1628. This however, didn't last long as the Spanish invaded and took over in 1629. The tiny settlement was ransacked and the settlers left for safer havens. Many of the settlers at that time were indentured Irish servants, who disliked the English (yes, even then) and joined the Spanish. 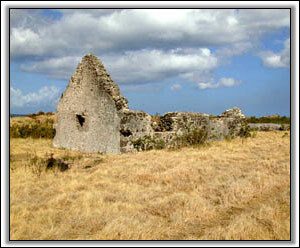 The Irish then moved on for good, many to Montserrat, another beautiful Caribbean island. This tug-of-war over Nevis went on between the British, Dutch, French, and Spanish governments for the next two-hundred years. In 1806 Nevis finally withstood her final military assault, led by Jerome Bonaparte. The militia, designed to protect Nevis was disbanded in 1833, and the forts left vacant in 1854. Much of this due to emerging American power in the region and the economic decline of Nevis. Sugar was being produced so close to home at a cheaper cost to the European interests that the Caribbean no longer proved economically viable. Nevis limped into the twentieth century with the economy reeling from the waning sugar industry. In spite of increased sugar demands, America and Europe now produced almost all of their own sugar. The sugar industry did pickup during World War I, but then almost totally collapsed during the 1920's. The great sugar estates were abandoned and the property appropriated to pay for overdue taxes. Some of the mills continued to produce on a limited basis, but sadly the last mill ceased to operate in 1958. During the 1950's, an attempt was made to bolster the economy with cotton and coconut production, but this had very little success. 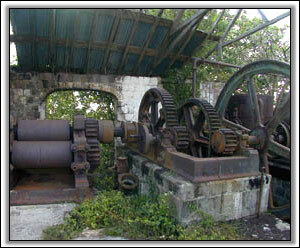 A victim of modern technology and better production methods, the sugar industry on Nevis vanished. The 1930's brought the Moyne Commission, a belated recognition by Britain, that it was obligated to help the floundering region. Many of the Moyne Commission suggestions to improve the life on Nevis were, unfortunately delayed due to the onset of World War II. One of the most substantial and long lived recommendations was in the way of public health. The mosquito-borne diseases of Malaria and Yellow Fever practically eliminated due to better sanitation methods and better education on the breeding habits of these mosquitoes. This led to better general health, and much improved life expectancy averages. The years during World War II were difficult times for the people of Nevis. Many everyday items, especially flour were in very short supply. Although times were hard, and the budget of the average citizen strained, the Nevisians, along with the residents of St. Kitts managed to donate enough money to purchase two Spitfires for the R.A.F. Nevis found many of her sons fighting alongside the very people who for years had held them in oppression. Although money was in short supply, the churches on Nevis always seemed to be able to find money to finance education. This money and the strict attendance requirements led to a excellent level of education for all the citizens of Nevis. When the government took over the education system this level of excellence continued. Roughly a fourth of the revenue is spent on education, and it shows! The literacy rate on Nevis is more than 98%, the highest in the western hemisphere. During the 1960's, the Federation of St. Kitts, Nevis, and Anguilla was formed by Britain. This Federation, with the seat of power in St. Kitts, was granted limited self-government. Anguilla left the federation shortly after it was formed. Nevis has a constitutional right to do so also, with a two-thirds majority in a public referendum. On September 19, 1983, a joyous, and proud, Nevis and St. Kitts were granted independence from Great Britain. Since independence Nevis has grown into one of the safest, most stable islands in the Caribbean community. Nevis' growth in the last decade, though mainly due to tourism, has not become a tourist-trap as have so many other Caribbean islands. Government has wisely chosen to keep growth to a limited and respectful scale. Along with modern conveniences, local culture exists in harmony. Many islands rely on the weather and glitzy, gaudy resorts to snare visitors, not Nevis, the people are all the bait Nevis needs. Nevis has had it's rough moments in history, but with the course chosen by the people and local leaders, she is sure to have a bright future. For a more detailed history of Nevis, please be sure and read, Swords, Ships, and Sugar: a History of Nevis to 1900, by Vincent K. Hubbard. This is an excellent source of information, and is where most of this information was obtained.